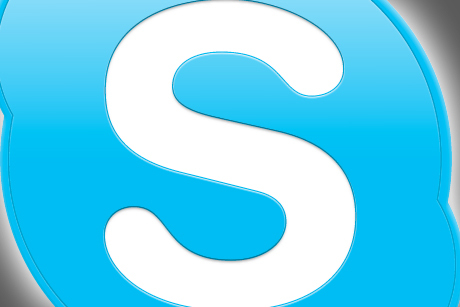 Just how will Microsoft (s MSFT) make money off Skype? Microsoft CFO Peter Klein won’t say, exactly. Microsoft closed its $8.5 billion cash buyout of Skype last week, and Klein, speaking on the company’s first-quarter earnings call Thursday, wasn’t ready to talk much about plans to capitalize on the popular VoIP phone service just yet. Now that the deal is closed, we are starting the integration of Skype’s world-class services and global-networked platform across our portfolio of products and services including Lync, Windows Live Messenger, Windows Phone, and the Xbox platform. Skype will be part of Microsoft’s Entertainment and Devices (E&D) business unit — home of Xbox — going forward. Microsoft welcomes “the over 170 million people who rely on Skype for their voice and video calls on a monthly basis,” Klein said. The 170 million number is interesting. By all accounts, the total Skype user universe is far larger than that. “Highly engaged” Skype users spend an average 125 minutes on the service each month, he said. That could be an opportunity for Microsoft to bolster its online advertising business or to sell more premium (ad-free) services. Analysts really wanted Klein to drill down into more detail but he deferred that discussion. Microsoft will start folding Skype numbers into its results in the second quarter. Overall, the company said it expects revenue for the quarter ending Dec. 31 to come in at $28.6 billion to $29.2 billion range. When Microsoft announced its acquisition plans for Skype last May, there was consternation among Skype users accustomed to its easy interface and inexpensive (or free) cost. A common question on Twitter was whether Microsoft would “ruin” Skype. All that has calmed down ,but since the deal has been in the works, the competitive landscape shifted. Google+ (s GOOG) and its hangout capability makes cheap video conference calling drop-dead easy and poses a major challenge to Skype. Microsoft’s first-quarter earnings press release is here. SeekingAlpha posted a transcript of the analyst Q&A here. You’ve said, “the over $170 million people who rely on Skype”. Is that to be read “170 million dollar people”, or was the ‘$’ in there not correct? sorry, fixed the errant dollar sign!